Helvetia restaurant is very popular with local people as well as tourists and is located just off the main square in Ayia Napa. It serves a wide range of international dishes and also has a roof terrace for al fresco dining. Helvetia is open during the summer months for dinner service. Hokkaido Japanese restaurant offers a fun dining experience around it's teppanyaki tables, where you are entertained by the chefs who cook your meal in front of you. It's menu offers a wide range of dishes and is family friendly. There is also outdoor seating for those looking for a quieter, more intimate meal. Hokkaido is located just off Ayias Mavris, the main strip and is open for dinner service all year round and also has a large sushi menu. Hungry Crocodile is a cafeteria style eatery on the main strip, Ayias Mavris. It is open in the evenings during the summer months. 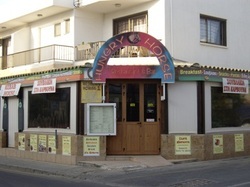 Hungry Horse is located on the top road, just a couple of minutes from the top of the main Ayia Napa square. 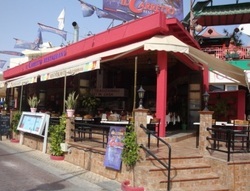 It serves a range of Cypriot and international dishes as well as daily traditional Cypriot specials. It is open for breakfast, lunch and dinner all year round. Il Carretto is an Italian restaurant located just off the main square in Ayia Napa. 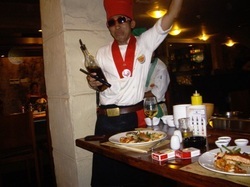 It serves a choice of Italian dishes including pasta and it's famous pizza. It is open during the summer months for dinner service. Isaak Taverna is open all year round for lunch and dinner and offers a wide choice of seafood and Cypriot dishes. Isaak also has live music and dancing several nights a week and is located at Ayia Napa harbour, right by St George's church. Japchinese serves a range of oriental cuisines including Chinese and sushi. it is open all year round in the evenings and daytimes in summer. It is located 5 minutes from the main square of Ayia Napa. Jello is a trendy cafe popular with local people and is open all year round throughout the day and evening. It's menu offers a range of snacks and main dishes as well as sharing platters. Jello is located very close to Ayia Napa harbour and has outdoor and inside seating. 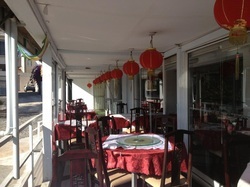 Ji Li Chinese restaurant is open all year round and is located on Nissi Avenue midway between the town centre and Sandy bay. It is open all year round. 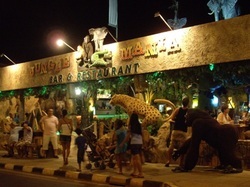 Jungle Mania Restaurant was new for 2012 and is located just off Nissi Avenue, midway between Ayia Napa Centre and Sandy bay. It serves a range of international dishes and is open for lunch and dinner during the summer months. Kafenio is a trendy modern cafe bar with an extensive menu of snacks and main dishes. It is open all year round for breakfast, lunch, dinner and snacks throughout the day and evening. 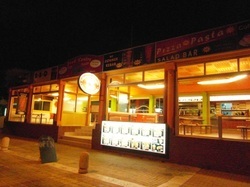 Kafenio has an excellent location right by the church in the main square of Ayia Napa. 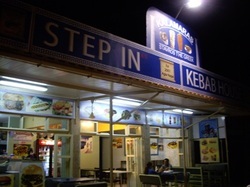 Kalamaras serves Cypriot, Greek and international fast food including kebabs, gyros and burgers. It is open during the summer months from lunchtime until late at night. Kalamaras is located near the SEnator apartments on the top road, just 5 minutes walk from the centre of Ayia Napa. Karoussos Beach Tavern has an enviable location overlooking Grecian Bay beach and is open in the summer months for lunch and dinner. 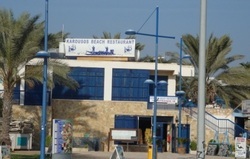 It serves a wide range of seafood, Cypriot and international dishes. Karystos Inn can be found on Nissi Avenue, in the Nissi Bay area. It is open through the day and evenings and serves main meals, snacks and drinks during the summer months. It also has various shows on in the evenings.